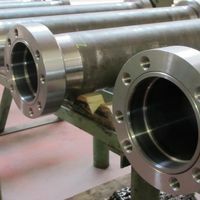 Cylinder repair and repair of hydraulic constructions and elements of all brands and dimensions: We can repair standard cylinders as well as special hydraulic cylinders. 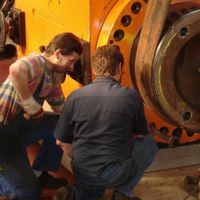 Whether seal change, filter Change, damage assessment or fault finding on hydraulic units, our kompetent service team performs maintenance and inspection on-site. 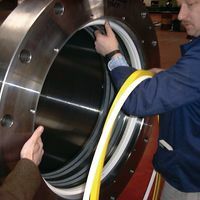 The Distribution and supply of seals and seal sets for all hydraulic cylinders belong to our range of services. 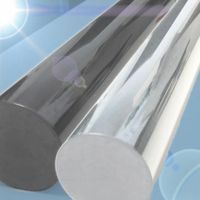 Further components like pistons, Piston rods, spherical plain bearings, rod Ends, cylinder tubes, valves and Position measuring Systems are available or could be produced. 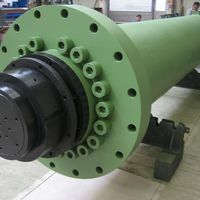 We produce spare parts for hydraulic cylinder and any other parts by order manufacturing, both in single item and small series production. The technical capabilities are exemplary: Turning workpieces with max. 4000 mm diameter and 24 m length.